None of us are healthy 100% of the time and even when we are healthy we aren't always as productive as we could be. Add pain or illness into the mix and productivity can really take a hit. Those of us with chronic conditions find ourselves feeling poorly more often than not so we have to figure out how to still live despite the pain or discomfort. Below are five things I've learned to do so that, even if I'm feeling sick or having pain, I can still have a productive day. 1. Get ahead of it. 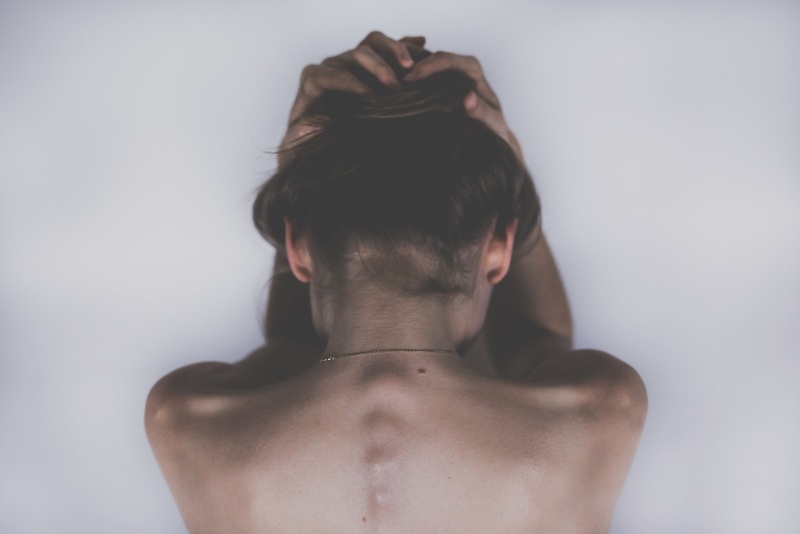 When I was first diagnosed with Ehlers Danlos Syndrome at the University of Iowa Hospitals and Clinics, the specialist I saw (Dr. Pamela Trapane) gave me some of the best advice I've ever heard regarding chronic pain and that was: get ahead of it. Prior to this, I though the way to deal with pain was to wait until it became absolutely unbearable before treating it. Dr. Trapane told me, this was a terrible idea because by letting the pain get out of control before treating it, I was creating "pain pathways" in my nervous system. It's actually much better to treat chronic pain early and aggressively. So, as soon as you start getting the signals your body sends that you all recognize as an oncoming pain flare, treat the pain and treat it aggressively. How you do that is going to depend on each of your as individuals. It may or may not involve taking a medication. You have to do what works for you. Going to work prepared for bad pain or illness is something that has saved me an abundance of sick days taken and unproductive work days. Bring what you need with you whether it is a shoulder brace, an ice pack, a bottle of asprin or a TENS unit. If your employer has rules about these things, you should be able to still use them under the Americans with Disabilities Act so long as they don't interfere with your work. In the Netflix original, Unbreakable Kimmy Schmidt, Kimmy describes a strategy she uses to get through a difficult situation.She advises that you just take it 10 seconds at a time knowing that you can withstand anything for 10 seconds at a time. I've had days where I put this strategy to use. Even if I was having horrible pain, I focused on work for 10 minutes at a time and then took a break and did this nonstop until I had made it through the day. This allows you to still get focused work done but also recognizes that dammit everything hurts. If you are able to, take as many breaks as you need, even if it makes your work day longer. It is better to do a longer, well-paced day, than to power through an intense short work day. Hydration is imperative for any illness or pain situation. Drink lots of water. Add flavor with lemon, cucumber, or other fruit. What else do you do to stay productive on bad pain or illness days? Share your strategies below!